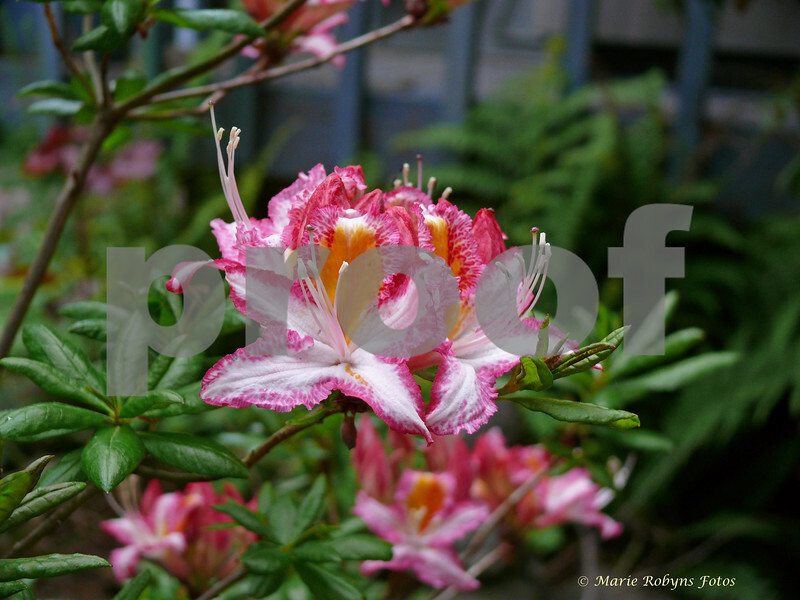 'Humboldt Picotee' is a selected form of azalea occidentale collected in the wild on the Oregon Coast.A slow growing plant, the blossoms can differ from branch to branch. Photograph taken June 1, 2008 in a coastal Washington Garden. Dr. Frank Mossman and Britt Smith were very active in observing occidentale, aka Western Azalea, in nature, and collecting superior specimens for garden culture.